Sometimes you have to tear things down before you can begin new construction. Demolition is a normal part of life, but it can be particularly dangerous work. Every contractor and every worker knows that jobsite safety is crucial, but you should always approach each demo project with extreme caution. No one wants the financial costs of an accident, and the potential personal costs in significant injuries or even death are unthinkable. That’s why you’re required to have an officially-designated “competent person” conduct a survey and file an Engineering Survey Report before you do any work. What they find gives your crew a sort of map to follow, identifying potential hazards. Increased awareness can help prevent everything from cave-ins or total collapse to explosions, fire, falls and exposure to toxic substances. Even with a detailed survey report in hand, though, you may still face unforeseen hazards at the demolition site. Perhaps structural changes or other modifications were made but not noted. Maybe some portion of the structure is weaker than it should be or appears to be. Or the building was used to house unknown chemicals that could pose problems. So never assume the survey identifies every potential danger. In fact you should always assume there are additional hazards lurking somewhere. Once you begin construction demolition, everything changes. Simply by tearing down, you’re altering the weight distribution and structural integrity of a building. That can invite falls when you’re working on the roof or upper floors. The entire building or a section of it could shift or collapse. Jagged materials can cause nasty punctures or other wounds. Loose nails or snaking power cords can trip you up. That means crew members working on the ground around your demo project also have to remain heads-up, literally, so they aren’t injured by falling debris. And if there is any chance your demo project involves hazardous airborne chemicals, dust from asbestos or lead-based paint, etc., ground crews need the same personal protective gear as those up top. Be especially wary of confined spaces. You can’t be certain what’s in there. 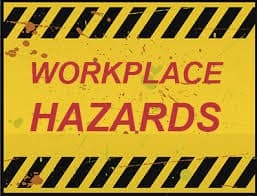 Spaces such as excavations, basements, even largetanks should be tested before your crew enters, to be sure there are no toxic or flammable vapors. Make sure the space is well-ventilated during demolition work, to remove potentially dangerous substances and ensure your people have plenty of fresh oxygen. Ongoing training and protective gear are essential. Once-and-done doesn’t cut it when it comes to safety training. Reminders may seem repetitious to your crew, but in the heat of the moment it can be all too easy to make a misstep. Keeping safety top of mind is simply a smarter way to do business. Hearing protection, respiratory gear, protective clothing and so on sometimes draw complaints from workers because these things can be uncomfortable, especially when it’s hot. But the possible risk is too great to ignore. Exposure to any manner of visible or invisible hazards can cause problems ranging from skin rash and lung damage to catastrophic, life-threatening injuries. Accidents aren’t just costly. They can ruin your reputation, with regulatory officials as well as potential clients. On the other hand, a proven track record of safety can lower your insurance premiums. Taking every possible precaution to protect your crew will keep them healthy and working productively. And an ongoing emphasis on safety will protect your construction company’s profitability, too. Previous Previous post: The Terex TC50 Compact Excavator Might be Small in Size, but It’s Big on Performance! Learn How This Versatile Machine is Perfect for Landscaping, Plumbing, Septic, Electrical & Utility Work, and More!